I learned about the concept of teamwork from my grandfather when I started playing youth football in 1992. That year our team was awful, both on the offensive and defensive lines; we went winless the entire season. This made me miserable. I was the biggest and fastest kid on the team but wasn’t even playing in a featured position. My granddad went to every single one of my games, as he lived just five minutes from where we played. One day he gave me life-changing advice: the oldest and wisest. “You guys need to start working as a team. If the opposing team has the ball, swarm the carrier as one unit!” He saw what needed to be done, and that advice changed the course of my life. Granddad passed away of complications from Alzheimer’s last year, on my 32nd birthday. On September 24, I am walking in the Walk to End Alzheimer’s in Chicago in honor of him and everything he taught me. I’m excited about getting involved with the Alzheimer’s community face to face, and connecting through this shared experience. It’s not a situation any of us chose, but it’s very powerful to share Walk to End Alzheimer’s with so many people from different walks of life and know that we will all walk with the same common footing. My own team will be with me – my children and my wife. I expect the day to be humbling and very poignant. My granddad’s sense of hard work stemmed from his professional career as a homicide detective in Pittsburgh. When he retired, everything slowed down for him. He was used to working in a very disciplined manner, focusing on process and getting results. Naturally he tried to instill those concepts and life lessons in me as well. He was constantly using his brain when he was part of law enforcement, but as a retiree, he wasn’t as active. In 2012, the first domino fell. I would hear him repeating questions and comments, but I didn’t know what that meant – I knew nothing about Alzheimer’s disease. Things took a turn for the worst in a four-month span of time. His household was a far cry from what I knew growing up, where I spent every day of my childhood. The man who was once so active, proud and strong was now living in a completely different state of health. Once he went to doctor and the diagnosis came, I put it all together. In a way, it was a relief to make some sense of his words and his actions, since I didn’t know the warning signs. 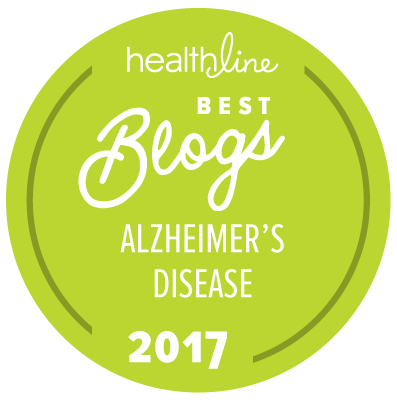 Since that time, I’ve been learning more about the Alzheimer’s Association and all of its resources for families and people living with the disease. When you love a person who has Alzheimer’s, it can be frustrating. I have two young daughters, and in their lifetime, I want to see more awareness – and empathy for the elderly and all those living with the disease. I am so glad that my family will be with me on Walk day joining in the experience. To others, I implore you: Be inquisitive. Be proactive. Be vigilant. Living in the information age we live in, the resources you are seeking are readily available at your fingertips. Most of all, don’t dismiss signs of Alzheimer’s simply as “old age.” I’ve seen the elderly population being cast off or written off; there isn’t as large a focus on their health or their wellness. Although I am not part of that population, they are very important to me, and should be to all of us. I’m interested and fully invested in finding a cure for this disease. So let’s start now. It’s time to get the ball rolling. You can help change the face of this disease – and ultimately help end it. I played in the NFL for eight years, and that time flew by. Losing my granddad to Alzheimer’s on my 32nd birthday made me realize that in eight years from now, I’ll be 40. God willing, I will live to be 80. And I’ve never been more motivated and excited to seize every day. About the Author: Ryan Mundy, a native of Pittsburgh, is an eight-year veteran of the NFL. He attended college at the University of Michigan and West Virginia University and recently finished his MBA studies at The University of Miami (FL). Drafted in 2008, Ryan spent five seasons with the Pittsburgh Steelers (Super Bowl XL Champion), one season with the New York Giants and two seasons with the Chicago Bears. Ryan is now Chief Strategist at Techlete Ventures and CEO of 12AM Holdings Co.
Amazing how a simple three-letter word provides an instant impact to Charlotte Jackson’s quest to help end Alzheimer’s. Charlotte’s husband Bill – today “a young 70,” Charlotte says – was diagnosed with Alzheimer’s in 2008. In 2012, once Charlotte retired from her retail management position and was able to devote much more time to raising both funds and awareness for Walk to End Alzheimer’s, Team Bill was formed. Charlotte’s pursuit began simply enough – a post on Facebook, asking friends for modest donations. Charlotte tracks much of her family’s journey – and Bill’s health updates – on Facebook. At first, she received comments like: “I never thought Alzheimer’s was like that. I thought it was just a memory disease.” Thanks to the power of social media, people were learning the truths of the disease, and nearly $6,600 in donations later, Charlotte was hooked – and floored. Progressed, indeed. In 2015, Team Bill pulled in $13,000 in donations and in 2016 netted $16,000. This year, Charlotte set the bar high, aiming for a team record of $20,000. In her third full year of fundraising, Charlotte introduced an ice cream social – “Freeze out Alzheimer’s” – for which she secures an ice cream donor and signs up local businesses as sponsors: Triple Scoop Sponsor ($750), Double Scoop Sponsor ($500) and Single Scoop Sponsor ($250). She typically holds this event in June, just before vacation season is in full-swing. Team Bill’s sixth Walk to End Alzheimer’s is set for September 17 in the North Andover, MA area. Through July, Team Bill has raised nearly $14,000, amassing about 70% of its ultimate goal. Charlotte often invites a member of the Alzheimer’s Association to speak at her fundraising events, along with setting up a table with information packets to create awareness and education; she and her two sons speak to all the people who come out to support the cause. After all, it never hurts to ask. About the Author: Together with her family and friends, Charlotte Jackson is participating in Walk to End Alzheimer’s with “Team Bill.” You can visit Charlotte’s personal Walk page here. It’s a lot easier to say change isn’t easy than it is to experience change yourself. I recently found this out firsthand when I said goodbye to friends, residents and coworkers at Brookdale Hillsborough, where I served as the Clare Bridge program manager for two years. In becoming the new executive director at Brookdale Hamilton, I wouldn’t be far away geographically, but away from the “family” I had grown to love. Clare Bridge is Brookdale’s individualized and person-centered program designed to meet the specific needs of those living with Alzheimer’s and dementia. We celebrated many daily moments of success at Hillsborough, including the success of our Hillsborough Walk Team’s efforts and fundraisers. Over the past three years, the Hillsborough Walk Team picked up momentum and grew from raising $600 the first year, $1,800 the next year, to $6,000 with matching gifts in 2014. Walk to End Alzheimer’s is an energizing event that we all look forward to all year long. It was a chilly day this year, but our hearts were warmed by the incredible crowds and inspirational speeches, as people proudly carried team banners. We were all so honored to be part of this impressive turnout supporting the Alzheimer’s Association. Words cannot express the warm feeling we all shared and carried home in our hearts from hearing the speeches, receiving the flowers, and for sharing such a special day with so many people. After this year’s Walk, we asked residents, their families and each other for additional fundraising ideas. Boy, did we get some good ones! Our tireless team entertained guests, prepared and served great food, decorated the building and made these events a wonderful time for all. A silent auction was our biggest hit. The silent auction really was a family affair. Residents, their families and Brookdale associates donated all types of items to be auctioned off. From hand knitted afghans to new appliances and Waterford crystal, the spirit of giving filled the community. It was lots of fun and, at times, seriously competitive. Our assisted living resident Roz and a Clare Bridge resident’s family helped man the silent auction, challenging others to outbid each other, and thus encouraging families to donate more to this great cause. Between our Walk and our other fundraising events, I couldn’t help but feel an overwhelming sense of pride in the Brookdale Hillsborough family. I, like so many others, have had family members who have had Alzheimer’s. I was touched by my grandmother’s experience and by the rough time my fun-loving uncle had with the disease. When I play a tiny part in helping someone live at the highest level they can, I am so touched by the moment, and know I’m getting far more than I give. Laura Hannigan and her Brookdale team of community associates, residents and resident families exceeded their wildest fundraising dreams for the 2015 Walk to End Alzheimer’s.